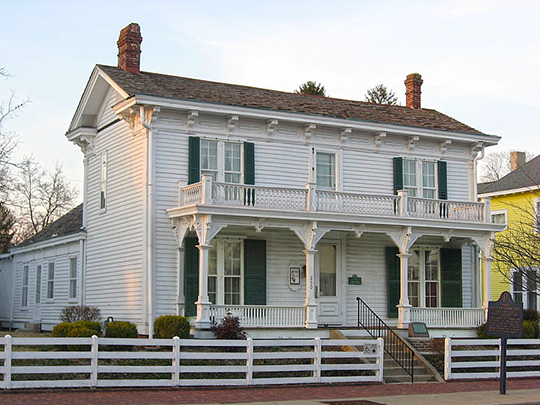 Photo: James Whitcomb Riley Birthplace, ca. 1850, 250 West Main Street, Greenfield, IN. Listed on the National Register of Historic Places in 1977. Photographed by User:Nyttend (own work), 2011, via Wikimedia Commons, accessed October, 2013. The Hancock County Courthouse is located at 9 East Main Street, Greenfield, IN 46140; phone: 317-477-1109. Named for the first signer of the Declaration of Independence, John Hancock, the county was established in March of 1828.